And it looks great alongside a tinfoil hat. 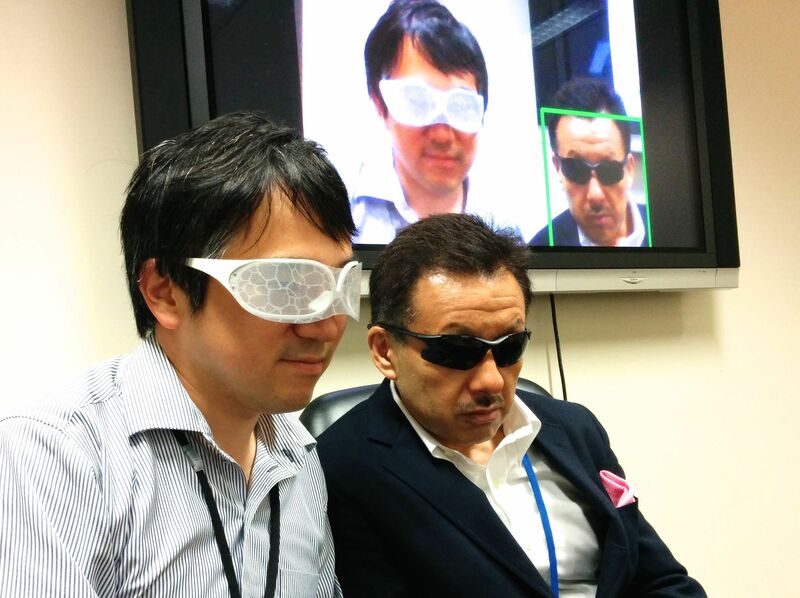 If you’re worried about Big Brother monitoring you from security cameras, Japan has developed eyewear that can keep you anonymous. The Privacy Visor consists of a lightweight, wraparound, semitransparent plastic sheet fitted over eyewear frames. It’s bulky and not exactly stylish, but it could have customized designs. It’s meant to thwart face-recognition camera systems through a very simple trick. It reflects overhead light into the camera lens, causing the area around the eyes to appear much brighter than it normally does. That’s enough to trick standard face-recognition systems, such as the Viola-Jones object detection framework, according to the National Institute of Informatics (NII), which has been developing the visor for years. At a demo on Tuesday, NII staffers showed how a face-recognition program can easily identify someone by comparing video input to a database of head shots. The system also works when the subject is wearing sunglasses. 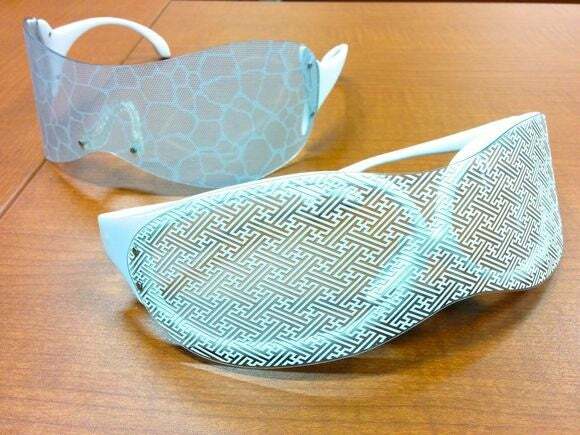 But the program couldn’t identify a face when the subject was wearing the latest Privacy Visor prototype, which has a plastic film wrapped around 3D-printed frames. Because the white plastic sheet is angled downward, such that the part near the nostrils sticks out more than the part near the eyes, it sends bright light toward the camera. That’s the opposite of what some face-recognition algorithms expect, namely darker areas around the eyes and brighter areas around the nose and cheekbones. Those are the kinds of landmarks they need to find a face. “This is a way to prevent privacy invasion through the many image sensors in smartphones and other devices that can unintentionally photograph people in the background,” said NII researcher Isao Echizen, who has been developing the visor through several prototypes. He cited facial recognition apps such as NameTag for Google Glass as an example of how the technology is spreading. A 2012 version, powered by a lithium-ion battery, included LED lights around the nose that shined near-infrared light toward cameras. Computer-vision systems were also fooled by the bright light, but the visor looked dorky and required a bulky power source. While the latest prototype doesn’t need power, it cuts incoming light by about 50 percent, but one’s surroundings are still easily visible. The white pattern on the surface of the wraparound film can be created in various custom designs including horizontal lines, hexagons, or a web pattern—as long as there’s enough white material to reflect the overhead light. NII plans to sell a more compact, stylish version of the latest prototype with titanium frames next year. An NII partnership with eyewear manufacturers has raised two-thirds of its ¥2 million ($16,016) goal in a crowdfunding campaign aimed at commercializing the glasses. Early-bird backers can order them for about 20,000 yen, but they’ll cost at least ¥30,000 when they go on sale in June 2016.